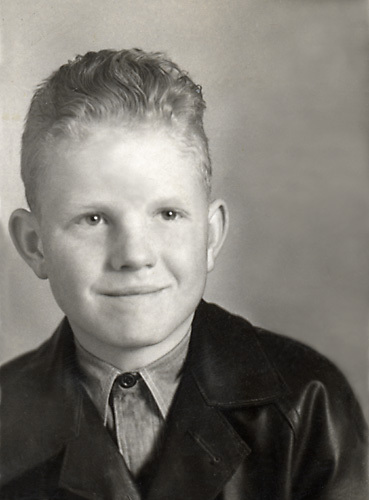 Don William Radford was born 13 May 1923 in Perry (Now Ririe), Jefferson, Idaho. He married 9 November 1944 to Helen Elizabeth Simpson who was born about 1926 and was the daughter of Weston and Gladys Simpson. 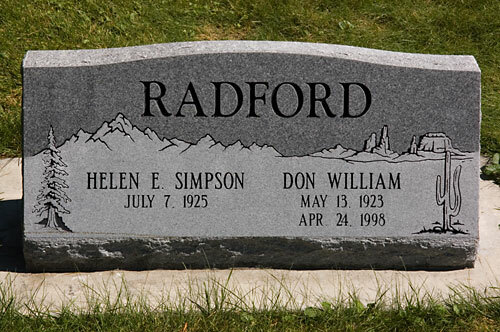 Don William Radford died 24 April 1998 in Emmett, Gem, Idaho. In the picture above is the gravestone for Don and Helen Radford. It is in the Shelton, Idaho cemetery.